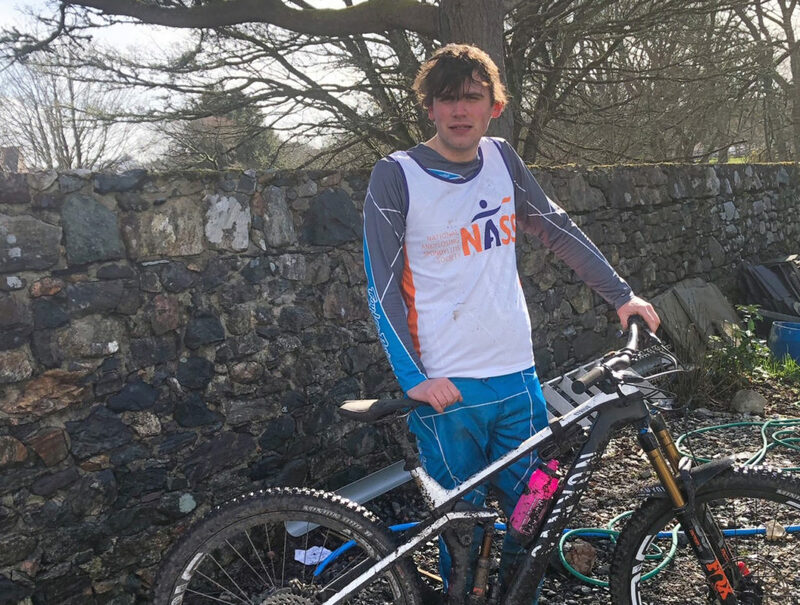 Callum decided to help NASS raise awareness of Ankylosing Spondylitis after his fiancée was referred to Rheumatologist with a suspected diagnosis. My fiancée Alice has suffered on and off for the last 3 years with back pain. We are currently in the long process of identifying the cause of this issue. After blood tests and MRI scans they have identified worn discs between her L3 and L5 as well as identifying the presence of HLA-B27 gene which is associated with certain autoimmune and immune mediated diseases. Because of family history of Ankylosing Spondylitis (AS) we have been advised that Alice may have this condition and have been referred to Rheumatology to follow up in more detail. This has been a lot to take in for both of us but especially Alice at the age of 24 that she may have arthritis in her spine. Her family has offered great support and recommended we looked through National Ankylosing Spondylitis Society (NASS) website. The website had a lot of useful information to help us slowly understand the condition but a few of the facts and figures where quite alarming. The main figure for myself was that on average it takes 8.5 years to diagnose from symptoms onset, by which time irreversible damage to the spine may have occured. After witnessing and supporting Alice through 3 years already, the thought that it may be another 5 years before we get a confirmed diagnosis was both shocking and alarming. I quickly reached out to NASS with an offer and idea to at least help raise awareness of the condition and hopefully raise some money for a charity that is supporting and helping people with the condition so here we are now. I have been an active cyclist from my mid-teens but slowly fell out of the hobby a few years ago. 18 months ago, I slowly started getting back into it with some slight persuasion from Alice and have built back up a strong passion. This year I have decided to enter the Scottish Enduro series to really see how far I can push myself. I have never raced competitively so it will all be a new experience and big learning curve I am sure. With this opportunity I am also looking to spread awareness of AS as well as raise some money towards NASS ongoing efforts and support surrounding the condition. I am training as best I can! You can donate to Callum’s JustGiving page here. Would you like to take on a similar fundraising challenge? We have places in many sporting events across the year including Prudential Ride London. Get in touch with our fundraising team now to get more information.